AnnHardy: Pavlova. 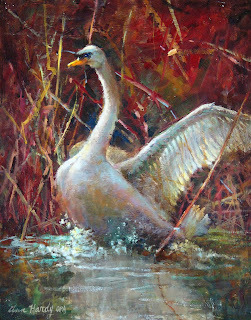 She was my female swan that I had for many many years. Pavlova. She was my female swan that I had for many many years. She and her mate, Baruschnakov, lived with me for a long time. Finally mated and had two eggs. The male swan was killed by a man (probably with an anger issue) when the man was mowing the yard. Pavlova then quit the nest and died of heart break. Swans mate for life. Here is a painting of her that I lovingly did. 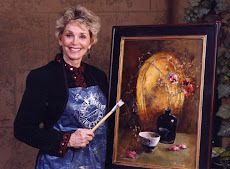 Painting won the blue ribbon in oils in a National competition.